CHICAGO (April 2, 2019) — (RealEstateRama) — Appraisers working in the residential real estate sector say national trends broadly apply to their markets, but they note that since each region essentially is local, they need to adapt to ever-changing area dynamics, according to an article in Valuation magazine’s first quarter 2019 issue. 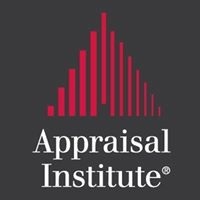 The Appraisal Institute is a global professional association of real estate appraisers, with nearly 18,000 professionals in nearly 50 countries throughout the world. Its mission is to advance professionalism and ethics, global standards, methodologies, and practices through the professional development of property economics worldwide. Organized in 1932, the Appraisal Institute advocates equal opportunity and nondiscrimination in the appraisal profession and conducts its activities in accordance with applicable federal, state and local laws. Individuals of the Appraisal Institute benefit from an array of professional education and advocacy programs, and may hold the prestigious MAI, SRPA, SRA, AI-GRS and AI-RRS designations. Learn more at www.appraisalinstitute.org.